Vitamin D supplements are likely required for those that do not get enough sunlight whether because they stay indoors too much or because of the climate they live in. Supplementation may also be required for those that do not eat enough vitamin D containing foods. This is the situation for people that do not eat fish or do not eat fortified cereals or drink fortified milk daily. Supplements may also be helpful for those that are suffering from certain medical conditions. Listed below are some medical problems where there is strong scientific evidence that vitamin D is effective in treatment. Supplements of vitamin D are found in two forms: ergocalciferol which is also known as vitamin D2 and cholecalciferol with is known as vitamin D3. Vitamin D2 is commonly derived from yeast and other fungi whereas vitamin D3 is obtained from animal or microbial sources and is the form of the vitamin that is synthesized with exposure of the skin to sunlight. There have been some studies indicating that vitamin supplements with vitamin D3 or cholecalciferol are more effective than those with vitamin D2 or ergocalciferol but in general both do raise the level on vitamin D in the blood when taken. 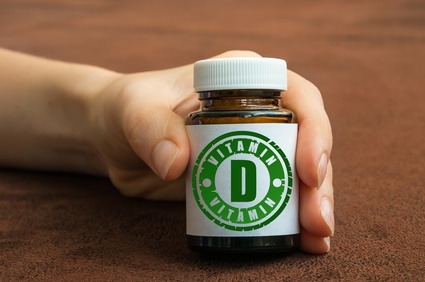 Vitamin D supplements consist of tablets, liquids, or soft gels, and may contain only vitamin D or the vitamin D may be included as part of a multivitamin package. Supplements that contain vitamin D alone come in a variety of strengths but most commonly in strengths of 400 IUs or 1000 IUs. Very potent strengths of 2000 IUs to 5000 IUs are also available. Multivitamin supplements generally contain 400 IUs of vitamin D.
Care must be taken when taking these and other types of supplements. Always speak to your doctor to ensure you are taking the right dosage and a safe amount. Too much vitamin D can lead to toxic effects that can cause nausea, vomiting, confusion, and more serious health problems with organs such as the heart and kidneys. Vitamin D supplements may also interfere or interact with other medications that an individual may be taking. These interactions may lead to a decrease in the effectiveness of the medication or a decrease in the effectiveness of the vitamin D in the body. Medications that interfere with vitamin D effectiveness include: anticonvulsant medications such as Dilantin, bile acid sequestrants such as Cholestyramine or Colestipol, ulcer symptom treatment medication such as Cimetidine, corticosteroids such as Prednisone, and anticoagulant medication such as Heparin. On the other hand, too much vitamin D in the blood can interfere with the effectiveness of high blood pressure or irregular heart beat medications and can cause the level of calcium in the blood to rise above the normal level.